Security forces on Tuesday seized demonetized currency notes worth Rs 11 lakh from the residence of an over ground worker of the ULFA (Independent) in Dibrugarh district. According to police source, a joint team of Army and police, based on inputs of the Army’s intelligence raided the house of one Pradeep Borah of Changmaigaon in Lahowal, leading to recovery of the scrapped notes in Rs 1,000 and Rs 500 denomination. Police have arrested Bora along with two other persons identified as Sanjay Giri and Milan Doley in connection with the case. “We are interrogating them and try to find out the trail of banned currency notes. 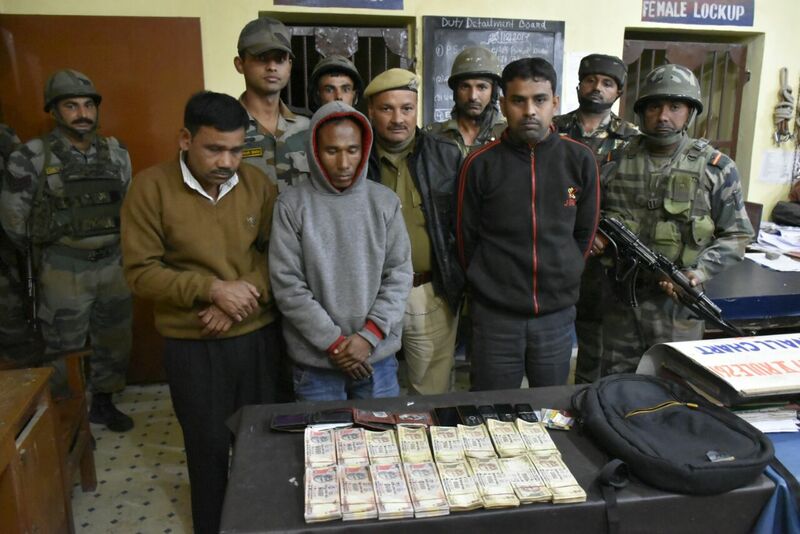 We suspect that the recovered amount was a part of a cash stash of the ULFA (I) which could not be converted into legal money after the sudden ban on high-value currency notes by the BJP government on November 8 last year,” said an official at Lahowal police station. A case has been registered against them for possessing demonetized notes in Lahowal police station. As per the Specified Bank Notes (Cessation of Liabilities) Act, possession of more than 10 pieces of the old notes by individuals and more than 25 pieces for study, research or numismatics purpose is considered a criminal offence which will attract a fine of Rs 10,000 or five times the cash held, whichever is higher. After demonization the insurgent groups of Northeast were hit hard and doing everything possible to exchange their notes which were mostly collected from extortion demand.